1. How would you introduce Pennsylvania Mutual to an investor? Penn represents what I believe is the best way to run a broadly diversified, active small-cap strategy. And it was our first portfolio, so people tend to view it as our flagship. I’ve always been interested in a variety of investment approaches and themes: quality-focused, valuation-sensitive, micro-caps, and even international small-caps. Penn’s always had a blend of these, and as the firm has grown over the years we’ve added other investment professionals who have expertise in these approaches and who now help to run Penn. That way, the Fund captures most of what we do at the firm. 2. What benefits are there to an investor for a widely diversified approach? Investors, advisors, and consultants build portfolios with different preferences. Some of them prefer to have portfolios with narrower mandates, so they accept the responsibility of actively allocating among those different disciplines. Others prefer to have fewer portfolios, giving what they think are talented managers greater latitude to pursue opportunities in the market—the phrase being used now to describe this approach is “degrees of freedom.” Penn is best suited to people in that latter camp. 3. 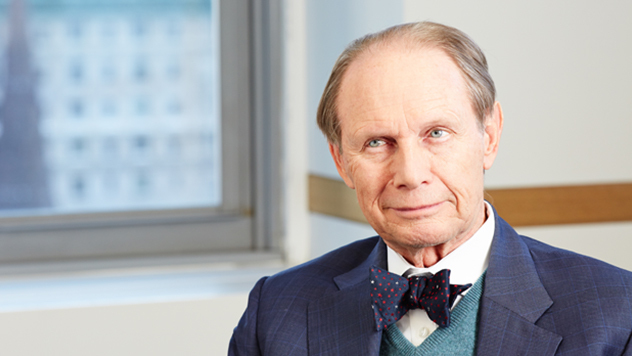 How does Penn differ from other Royce portfolios? At Royce, we run narrower mandates –for example, Royce Premier, Total Return, or Special Equity Funds. The nature of these mandates is that historically—and, I expect, in the future—there will be times when they are in or out of favor because of their orientation. Because Penn, on the other hand, combines multiple disciplines and has the latitude to move from less attractive to more attractive areas, it also has the potential for more consistent performance—which is our intention. Looking at our Morningstar small blend peer group rankings for 10-year periods since the inception of Morningstar’s peer group rankings (May 1993), I am proud that we’ve been in the top quartile more than 50% of the time and, also important, avoided the bottom quartile of our peer group 96% of the time.1 I don’t know if we would have been able to post such strong results had the Fund not enjoyed the full latitude that it does. 1 As of 9/30/18, Royce Pennsylvania Mutual Fund’s Morningstar ranking for the 1-year period was 28% (220/778), the 3-year period was 9% (53/652), the 5-year period was 66% (335/539), and the 10-year period was 67% (246/388). 4. How is Penn managed? Each of the other five managers has relevant expertise in a theme, and I work with all of them on their respective segments of the portfolio. 5. What are those themes and who are those managers? The two largest themes in the firm and in the portfolio are High Quality and Traditional Value. In these respective areas, I work with Portfolio Managers Lauren Romeo and Jay Kaplan. I also work with Jim Stoeffel in Penn’s micro-cap investments—Jim heads Micro-Cap investing at Royce. In the area that we’ve come to call Special Situations, Assistant Portfolio Manager Chris Flynn and I work together. Special Situations are those stocks where traditional valuation metrics aren’t always useful. There’s often a complicated ownership structure, a collection of different operating businesses under a holding company, or a hidden asset value that’s not apparent on the financial statements. I think you find these situations more often among small-caps where the resulting mispricing opportunities can create very interesting investments. Finally, I also work with Assistant Portfolio Manager Andrew Palen on high-quality companies with newer business models. These are often stocks where we think other investors have overlooked or misunderstood a company’s long-term potential. 6. How do you work together with the other managers? For each theme, I work with the person responsible for that segment of the portfolio. Together, we’re responsible for all the stocks in that segment. Each of us can add a stock, but for the position to move to the top of the portfolio, we both have to agree that it’s a compelling opportunity. After consultation with other managers, I take the leadership for and focus much of my attention on the top of the portfolio. 7. What parameters are in place for the overall portfolio? 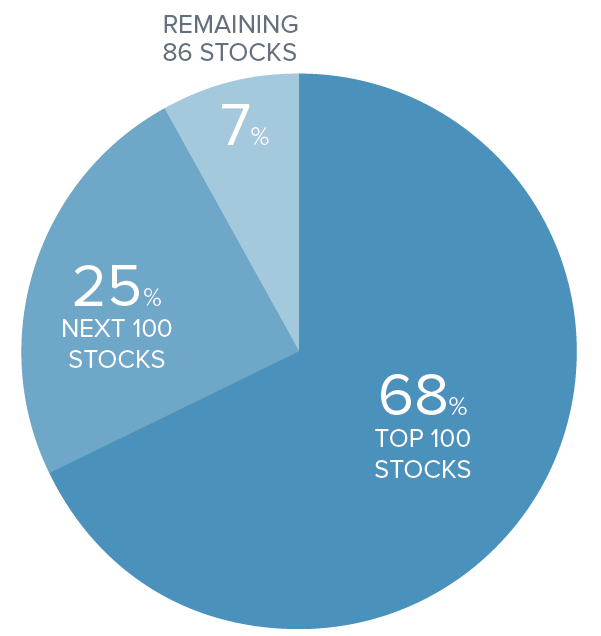 Our current goal is to keep the total number of stocks below 300, with the top 200 representing 90-95% of net assets. I also keep my attention focused squarely on the top 75% of the portfolio, which has more recently been composed of about 120 stocks. I’m working with the other managers to increase the weightings behind our most timely ideas, so it’s possible that you’ll see a lower number of stocks in that top 75% going forward. 8. Three hundred stocks still seems like a lot. Could it be run with less? I don’t think we can while still maintaining the multi-theme approach. These themes are not all equal in size or number of stocks. However, if for simplicity’s sake you think about our five themes as each having about 50-60 stocks, that lands on 250-300 positions. The large number of stocks has been a hallmark of Penn—but also a question for investors for a long time. In the past, we actually had more stocks in the portfolio. I do like to think that delivering a 12.8% average annual total return over 45 years does tend to validate Penn’s approach. If you think about the variety of market environments over those 45 years and recognize that Penn’s level of return has resulted in investors’ capital doubling on average every six years, I like to think we’ve done a good job. 9. Can you address the large number of small positions in the portfolio? One hallmark of most of the portfolios I’m involved in managing is what’s often been called a “long tail.” My own view is that you follow a company much more intensely when you own it. When I find a company that meets the relevant investment criteria, I often buy a small position, watching it until my conviction grows, the price drops to a level at which I’m comfortable increasing the position, or I move on. I admit that this is an unconventional approach that’s somewhat unique to how I manage money, but it’s worked well for me over time. 10. What about Penn’s more recent results? I think the success we’ve enjoyed, particularly over past three years, is at least partially due to the latitude provided by Penn’s multi-theme approach. During this period, we saw a sharp decline in the early part of 2016, then a robust rally led by value stocks, which was followed in 2017, and so far in 2018, by leadership for growth stocks. Throughout this three-year period, Penn has beaten 91% of its small blend peer group as well as its benchmark. Over the past year, Penn has also beaten 72% of its small-blend peers and the Fund’s longer-term relative results are improving—the fund ranked in the 66 and 67 percentile of its small blend grouping for its 5- and 10-year returns respectively, according to Morningstar1. Charles M. Royce is known as one of the pioneers of small-cap investing and has 56 years of experience. He has been the portfolio manager for Royce Pennsylvania Mutual Fund since 1972, and he currently manages eight funds at the firm. Mr. Royce holds a bachelor's degree from Brown University and a Master of Business Administration from Columbia University. Mr. Royce’s thoughts and opinions concerning the stock market are solely their own and, of course, there can be no assurance with regard to future market movements. No assurance can be given that the past performance trends as outlined above will continue in the future. For the Morningstar Small Blend Category: © 2018 Morningstar. All Rights Reserved. The information regarding the category in this piece is: (1) is proprietary to Morningstar and/or its content providers; (2) may not be copied or distributed; and (3) is not warranted to be accurate, complete or timely. Neither Morningstar nor its content providers are responsible for any damages or losses arising from any use of this information. The US OE Small Blend Category includes small-blend portfolios that favor U.S. firms at the smaller end of the market-capitalization range. Some aim to own an array of value and growth stocks while others employ a discipline that leads to holdings with valuations and growth rates close to the small-cap averages. Stocks in the bottom 10% of the capitalization of the U.S. equity market are defined as small cap. The blend style is assigned to portfolios where neither growth nor value characteristics predominate.